A business process is a flow chart that shows how users start, approve, add information and complete a process. 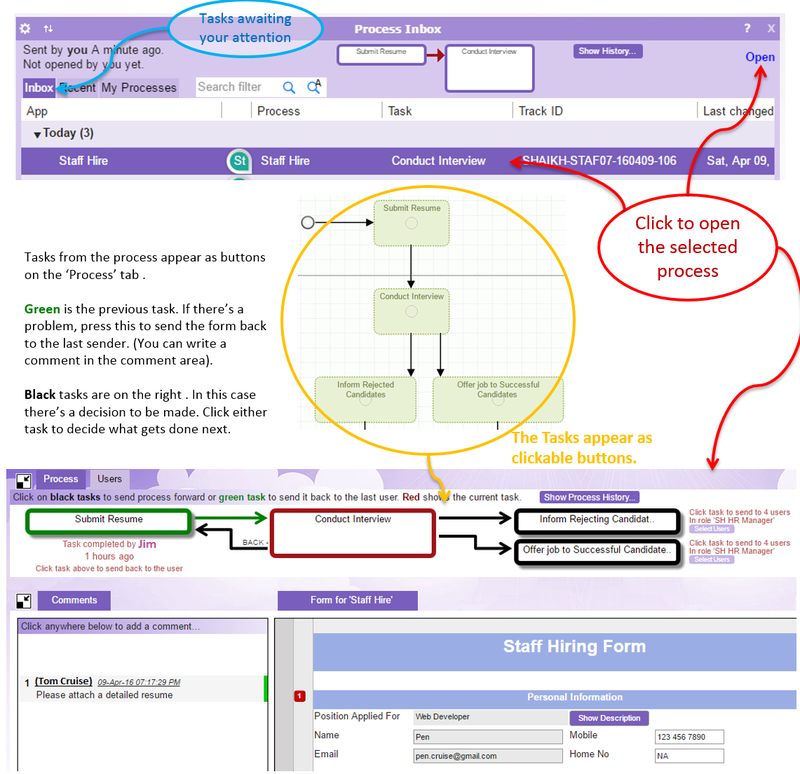 The flow chart is divided into areas called ‘swim lanes’ which represent user ROLES. Tasks and decision boxes describe the actions performed by users. 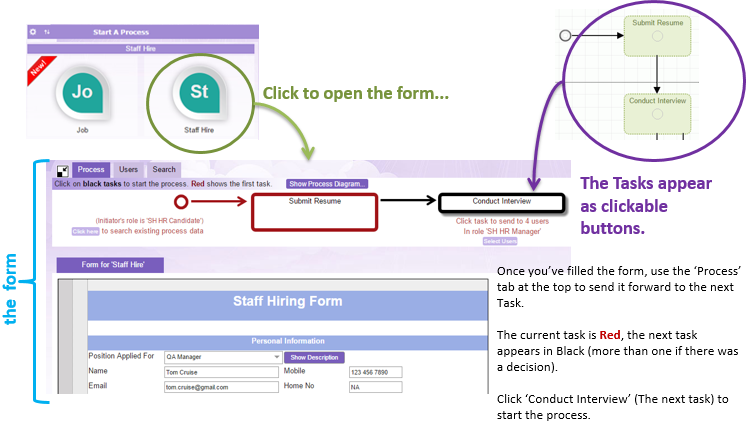 Cloudstream users can be assigned different roles, they can start and interact with the process using their Process Inbox. The ‘Users’ tab allows you to select users who will receive this form in their ‘Process Inbox’. Its a bit like selecting users to send emails to. Unlike email – YOU CAN LEAVE THE SELECTION BLANK! The process will then go to the Inbox of EVERY user in the given role. Any of them can process it. 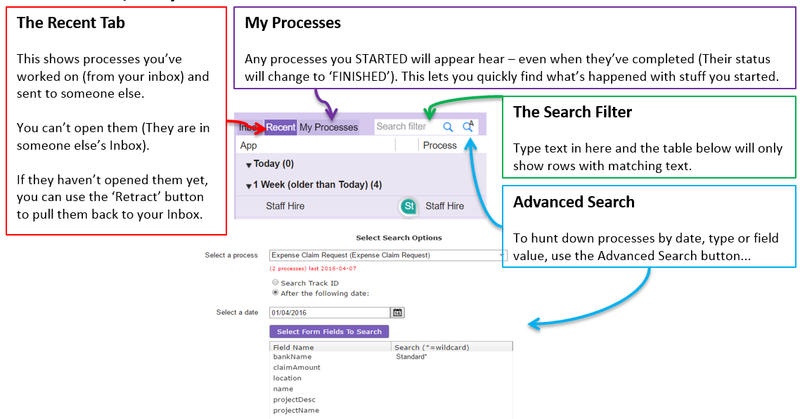 If you select data from the Search tab, and try to start a process, you have a choice. ‘Modify Existing’ will start a process that SHARES the data originally created for another process. ‘Change COPY’ will create a new data row. Imagine the search result table was like a spreadsheet. ‘Modify Existing’ will modify the row you selected, while ‘Change Copy’ will first create a copy of that row. 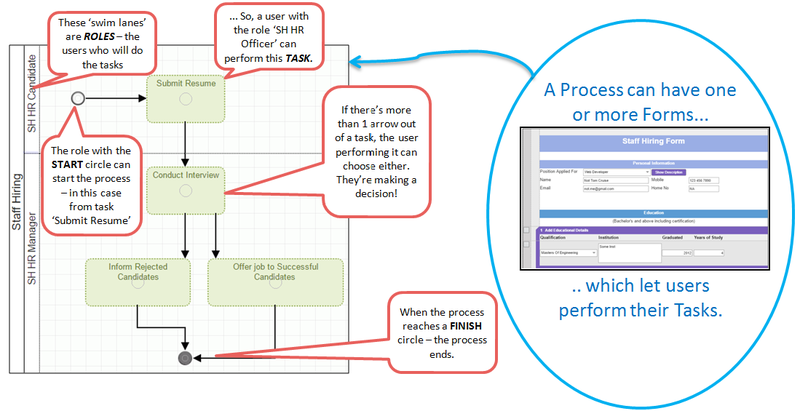 If you have been assigned a role that performs some task in a process, the process will appear in your Inbox when that task is reached.